Gov. 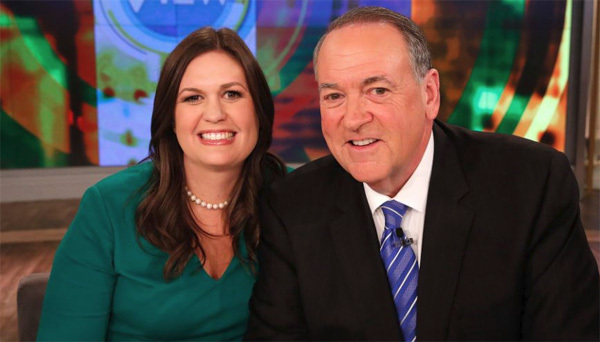 Huckabee goes full-on racist in attack tweet on Pelosi. Well, isn't this sweet? Former Governor of Arkansas, Mike Huckabee attacked Minority Leader Nancy Pelosi with this full-on racist tweet today. What a POS. As babies and toddlers at the border...ohmygod, you all know where I am going with this. But the beauty is this. The real magnificence in the hypocrisy is simply a few tweets above, when he defends his precious daughter, who got asked to leave a restaurant in Virginia because of her evil lies, and her role in propping up this fascist regime. Oh, no. That can't happen to Daddy's little girl. Worse, according to Daddy Huckabee, this was a result of -- wait for it -- BIGOTRY.